At Hansen & Miller Law Firm, we are committed to providing experienced, dedicated and effective legal representation on behalf of clients in the fields of criminal defense and personal injury. 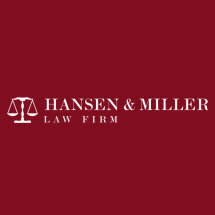 If you have been seriously injured in an accident or accused of committing a crime in Santa Rosa or the Bay Area, the Hansen & Miller Law Firm can help. Attorney Monte L. Hansen is a former deputy district attorney and deputy sheriff for Sonoma County. Attorney Roy E. Miller is a former deputy district attorney for Lake County. As former prosecutors, Monte and Roy understand how prosecutors tend to think, what evidence they must have to build a case, and what defense strategies are effective. When you choose Hansen & Miller for your legal matter, you can be confident that you are in the hands of skilled and experienced professionals. Attorneys Monte L. Hansen and Roy E. Miller have more than 40 years of combined legal experience. As skilled negotiators and trial lawyers, they can ensure that you receive the vigorous representation you require. At all times during your case, you will be represented by an experienced attorney who is committed to seeking the best possible result on your behalf. Attorneys Monte L. Hansen and Roy E. Miller work closely with clients throughout the duration of their case to provide the personalized and responsive service they require. Contact Hansen & Miller today in Santa Rosa, California. To schedule a free consultation, call 707-304-5182.